Carrie Rowell spent her childhood in Honolulu and has been fascinated by all aspects of the Hawaiian culture ever since. For over 20 years she has studied various forms of sacred dance and movement including Hula, Middle Eastern Belly Dance, Ballet, Chi Kong, Tai Chi and other types of spontaneous healing movement. She applies the beneficial techniques learned from these related arts into her bodywork therapy. Her world travels lead her to perform, dance and teach all over the world in countries such as England, Scotland, Australia, New Zealand, Canada, The Netherlands and the U.S. Her gift for intuitive bodywork and dance are a perfect match for the ancient healing art of lomi lomi. As a child she knew that practicing the healing arts was going to be her life’s focus. Living in Hawaii she studied with some of the most respected kupuna in lomi lomi and assisted in teaching workshops in various aspects of Hawaiian culture including traditional ritual, awa ceremony and lomi lomi. 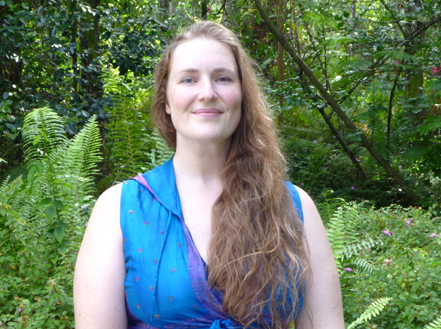 She is trained in many modalities of bodywork such as Swedish, Cranial-Sacral, Deep Tissue, Acupressure, and Pregnancy Massage and is a licensed massage therapist and DONA certified birth doula.